The Vice-Presidency for Private Sector, Infrastructure and Industrialization is central to the Bank’s mission of developing the private sector, improving infrastructure and accelerating industrialization. 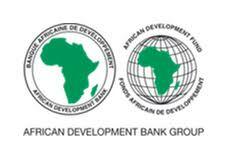 The complex main functions are to (i) strengthen the enabling environment for private sector [and financial sector] development conducive to inclusive growth and sustainable development, (ii) support the development of reliable and sustainable infrastructure, including cities and urban development, and (iii) place renewed emphasis on industrial and trade performance in support of structural transformation across Africa. The Complex leverages knowledge, co-financing, and partnerships to attract private capital and work with governments on delivering the Bank’s development agenda. The role of the Bank’s Non-Sovereign Operations and Private Sector Support Department of the Bank (PINS) is to promote private sector in Regional Member Countries, ensuring that it plays a central role in laying the foundations in the development role of the Bank, in line with the Bank’s 10 Year Strategy and HI 5 initiatives. As part of the PINS Department, the Strategy and Transaction Support Division is responsible for preparing strategies, policies, guidelines, and analytical tools relevant to the sector; it also ensures global client management and undertakes specialized assignments for the Regions, providing ad hoc advice on transaction bankability, structuring, Project Modelling and designs and implements technical assistance for Private Sector operations. 1. Draft advisory notes on the best economic and financial options and the Integrated Transaction Model, including on prerequisites to mitigate risks and enhance project’s implementation efficiency. 2. Draft innovative socioeconomic and financial models for IOs guidance. 4. Identify, Disseminate and communicate best practices. 5. Participate in due diligence on new products/programmes, conducted by concerned Bank’s departments. 3. Have a minimum of six (06) years of relevant professional experience in the Bank or a similar institution and/or in strategic consultancy, in particular in business development and deal structuring. 6. Strong experience with Credit enhancement instruments. 7. Sound knowledge of tailored products (such as guarantees) for sector based investments. 11. Capacity to adapt to the rapidly evolving needs of the Bank’s NSOs ecosystem. 12. Solid negotiation skills, diplomacy and credibility to deal with internal and external clients at all levels. 20. Competence in the use of standard Microsoft Office Suite applications; Knowledge of SAP is advantageous. THIS POSITION IS CLASSIFIED INTERNATIONAL STATUS AND ATTRACTS INTERNATIONAL TERMS AND CONDITIONS OF EMPLOYMENT.